Fritz Scholder #NativeAmericanHeritageMonth « Adafruit Industries – Makers, hackers, artists, designers and engineers! 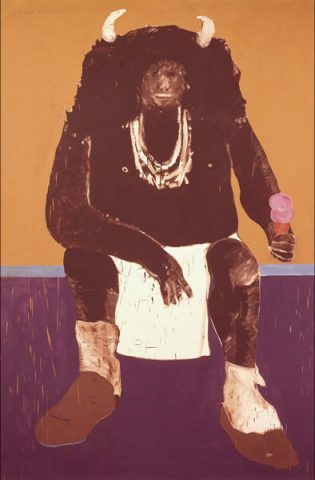 Fritz Scholder was an influential Native American artist whose post-modern, Pop Art work deconstructed the mythos of the American Indian. He taught at the Institute of American Indian Arts in Santa Fe. 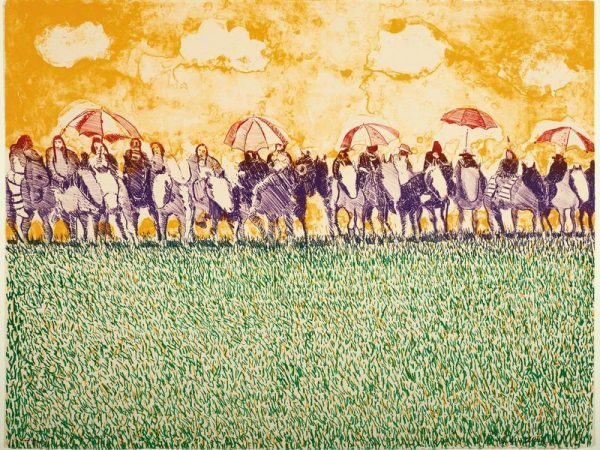 In the winter of 1967, artist Fritz Scholder broke a promise. Working as a teacher at the Institute of American Indian Arts, Scholder was already a Native American artist of some renown. His work up to that point had come along with a vow — he would never paint a Native American figure. He believed the subject had devolved into a romantic cliché. But standing before his students one day, he grew frustrated with their inability to create an “honest” representation of current American Indians. So he carried his brushes and paints into the studio classroom and quickly filled the canvas with the figure he pledged to avoid. The same subject that would eventually define his works. 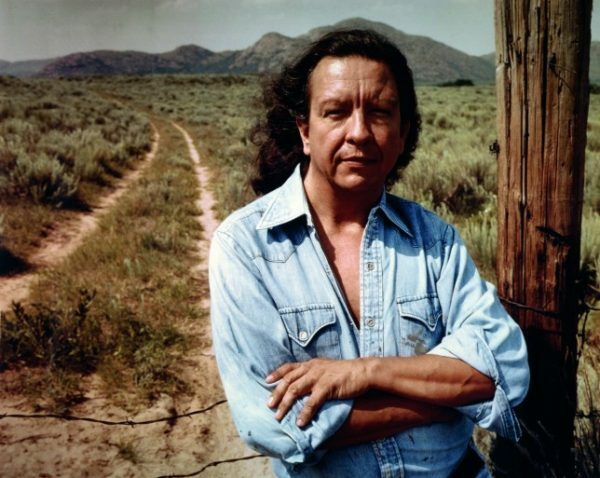 Scholder’s decision to break his promise marked a fierce turning point for campaign on behalf of Native American rights and for American Indian artists. His painting, Indian No. 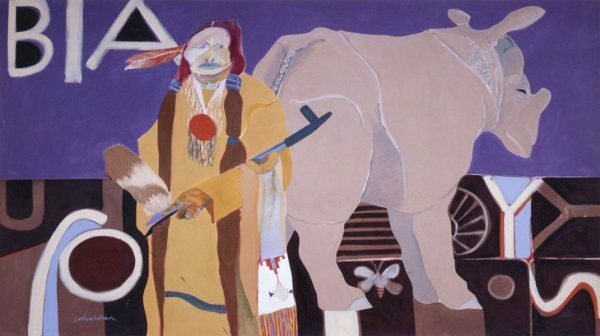 1, and the works that followed thrust contemporary styles into a genre dominated by what Scholder characterized as “flat” and, at times, disingenuous depictions of Native Americans. His paintings disrupted comfort zones — even for Native Americans — by rawly exposing issues including alcoholism, unemployment and cultural clashes. 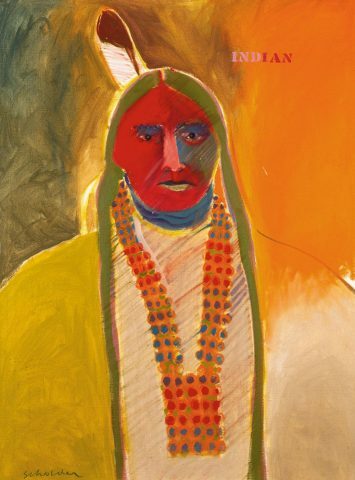 But for Scholder, who was one-quarter Native American, the choice to paint the charged subject matter was — as in any of his paintings — second to his love of color and focus on composition. Scholder did not fully embrace his Native American heritage. He was, at his core, a painter. Still, decades after he completed his Indian Series, people struggle to look beyond the subjects in Scholder’s paintings. An exhibition of Scholder’s work at the Denver Art Museum is designed to help visitors see more. “Super Indian,” an exhibition featuring 40 of Scholder’s rarely seen paintings and lithographs, is one of the first to explore how Scholder used a mix of figurative and pop influences to create challenging and colorful images. In short, the exhibition is designed to re-connect viewers with the artist, instead of the political or protest painter Scholder claimed he never was.